I read this article and found it very interesting, thought it might be something for you. 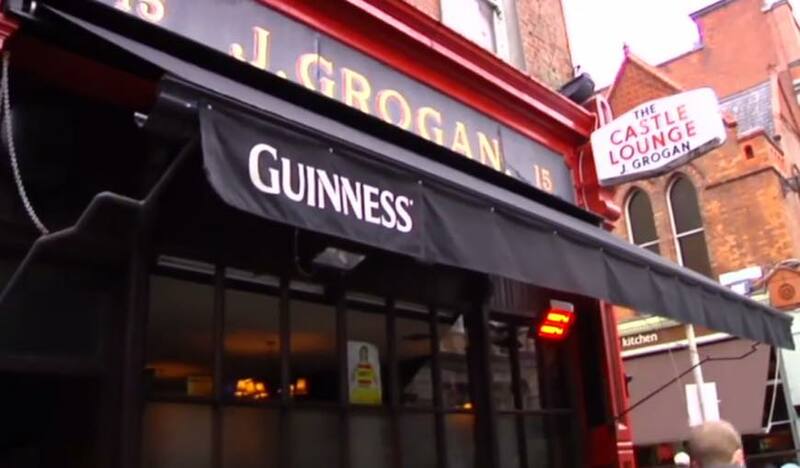 The article is called ‘Tis The Season – 12 Dublin Spots to Meet Pre-Christmas and is located at https://www.totallydublin.ie/food-drink/food-drink-features/tis-the-season-12-dublin-spots-to-meet-pre-christmas/. The best of times or the worst of times? The answer invariably depends on your vantage point and the kind of year you’ve had, but in our experience the worst of the bleak midwinter is best ameliorated by marching into town at least once during the Season for a restorative beverage with some old pals. This December we’ll be taking our own medicine and enjoying some good company over a swift half and a bite or two in some of these quality Dublin establishments. Everyone’s secret rendezvous, the Library Bar of the Central Hotel is a great place to take a load off while catching up with old friends over a hot toddy. Some of our favourite midwinter afternoons have been spent ensconced in an armchair here, as the pale winter light fades and the room fills with talk of times past, or passing or to come. The spacious Chatham Lounge offers an oasis of calm just off Grafton Street. Get there early enough and there’s time for a bit of quality banter with the sagacious bar staff before grabbing a stool at the bar, or commandeering the snug for a conspiratorial evening chin-wag. 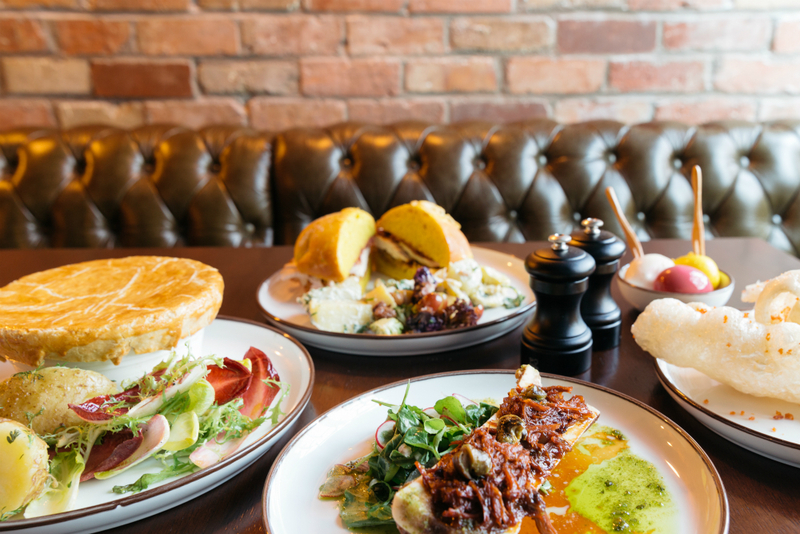 If ‘doing a Maeve’ and eavesdropping on the disclosures of the inhabitants at the next table is your thing, then this is the perfect spot to fuel your indulgence. As previously noted in these pages, God is very much in the details at Elaine Murphy’s Northside watering hole. The homely gastro-pub makes for a particularly comfortable pre-Christmas rendezvous, while the hospitable staff pull off the feat of being cool AND nice simultaneously. Choose a glass of something lovely and try a morsel or two from the spectacular array of bar-bites on offer. Sure why stop at a pickled egg? We could easily be persuaded to look at that gorgeous menu. It is Christmas after all. 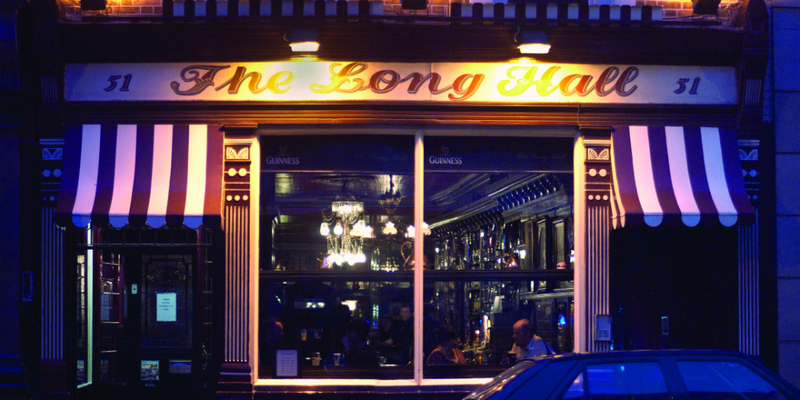 Our old favourite is ideally located for a swift half and bit of retro sustenance in the guise of a special toastie. At this time of year it’s likely that you’ll find yourself in the company of ex-pats settling in for an afternoon meandering down memory lane, which begs the question, if you remember the beginning of an afternoon here, can you remember the end? We raise our glasses to Temps Perdu. The interior of the Stag’s has frequently been known to offer splendid daytime isolation, and never more so than at this time of year. Get your timing right and you could be topping up your levels of bonhomie in the comfort of the Victorian snug with just the resident fox for company. Be warned though, subcultures of the city unite on the night of the 23rd as anyone who ever set foot across the threshold returns to pay their annual respects. It makes for an interesting crowd though, and you never know who you might bump into. 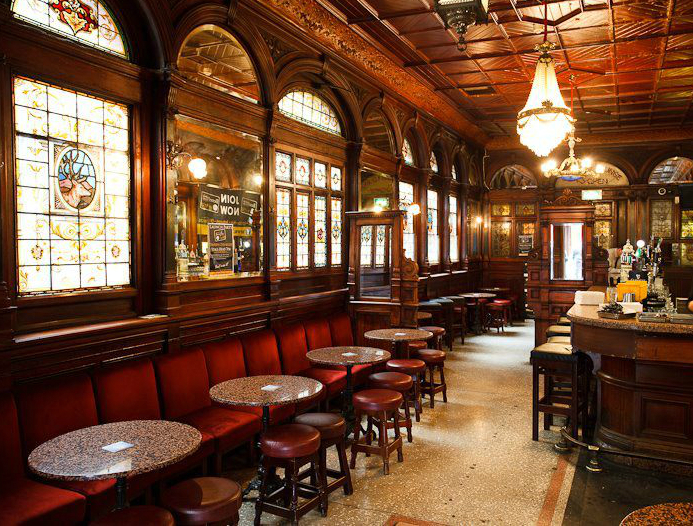 This quartet of classic Dublin establishments features strongly in many of our Christmas pasts. Each has the propensity to provide a welcoming ambience for large groups, while also doubling as the ideal setting for an intense one-on-one with that significant somebody you haven’t seen in what seems like eternity. It’s Christmas present, so do yourself a favour. Get the gang back together, pull up a pew and roll back the years. 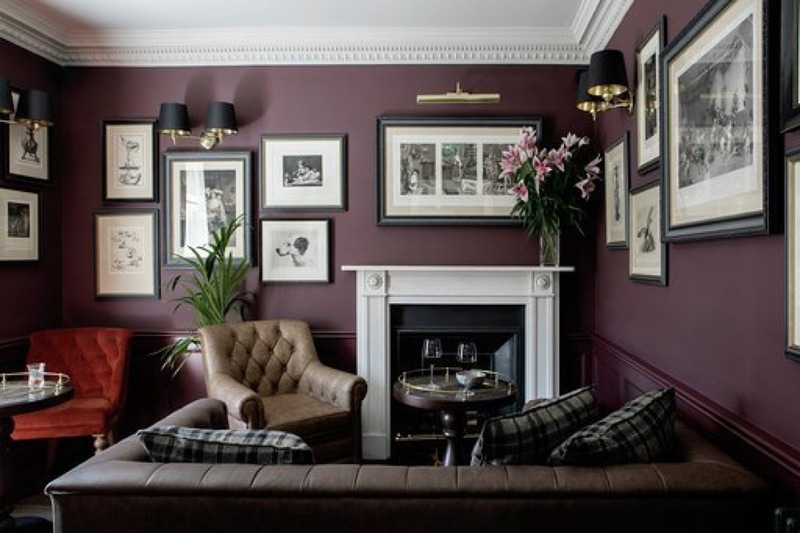 Suitably salubrious, the recently opened Xavier’s Bar offers a fireside chair and the possibility of something a bit more adventurous than a pint of plain. We’ve been eyeing up its cosy confines for a little while now and, having tried it out for size, we reckon that as the Georgian basis of our Christmas future, it’ll do very nicely thank you. Well organised souls heading to their native West for the Christmas (you know who you are) have the luxury of steadying themselves for the journey ahead with a swift half in Ryans. We’re reliably informed that the pleasure involved is only slightly mitigated by the searing pain of the inevitable last minute dash across the road to catch that critical last train from Heuston. Country cousins safely dispatched, remaining Dubliners have earned the right to envelop themselves around a nice, cooling beverage in the cheery confines of The Dawson Lounge. As an added bonus, they get to have the city’s smallest hostelry all to themselves for a brief hour or two before scarpering in time-honoured tradition, for last orders in the local.